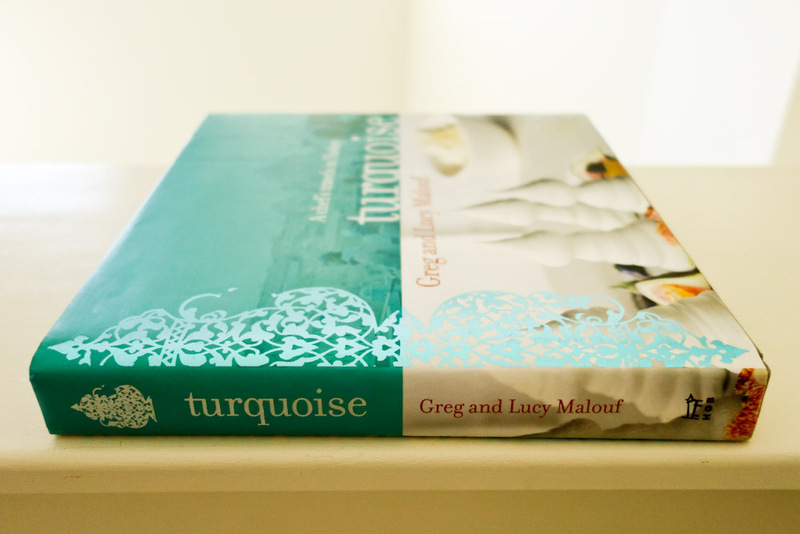 Turquoise cookbook by Greg and Lucy Malouf. My third cookbook review for this year is of Turquoise: A Chef's Travels in Turkey. Written by husband-and-wife team Greg and Lucy Malouf, this beautifully presented hardcover cookbook offers captivating insight into the world of Turkish cuisine, complete with intimately descriptive tales of food adventures that spark feelings of wanderlust. As per usual, I made a beeline for the simpler recipes. The first one that caught my eye was the recipe for smoky eggplant puree (the Turkish name is not provided in the cookbook, but the internet tells me it's called patlican ezmesi), which had an approachable list of ingredients - eggplant, yoghurt, lemon, olive oil, garlic, mint, and salt. I love, love, love the taste of smoky eggplant, and it is something I have not ever attempted at home - until now. There were some fiddly aspects to this, but it actually wasn't as difficult or time-consuming as I thought it might be, and as I enjoyed it with some crackers, I daydreamed about how I could wow family and friends with this Turkish smoky eggplant dip in the future by serving it at a dinner party at home, or bringing it to a potluck. My only criticism is that there wasn't quite enough of a smoky flavour, even though I cooked the eggplant the proper way, directly over a naked flame, instead of the cheat's version of baking it in the oven. The recipe says to remove every bit of the skin to avoid bitterness, but I'm flirting with the idea of cautiously including some of the charred bits next time, to see if that helps elevate the smoky taste I so adore. 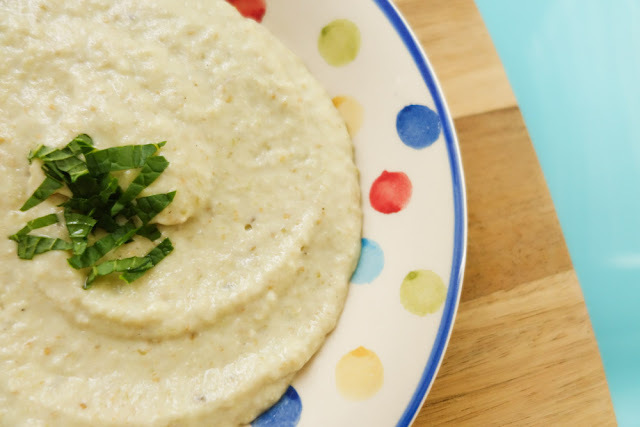 Smoky eggplant puree (patlican ezmesi) - a delicious dip. A few days later, I turned my attentions to another easy recipe: the shepherd's spinach (kiymali ispanak in Turkish, according to my online research) attracted me with its friendly simplicity - this is a one-pot meal that doesn't put on any airs. 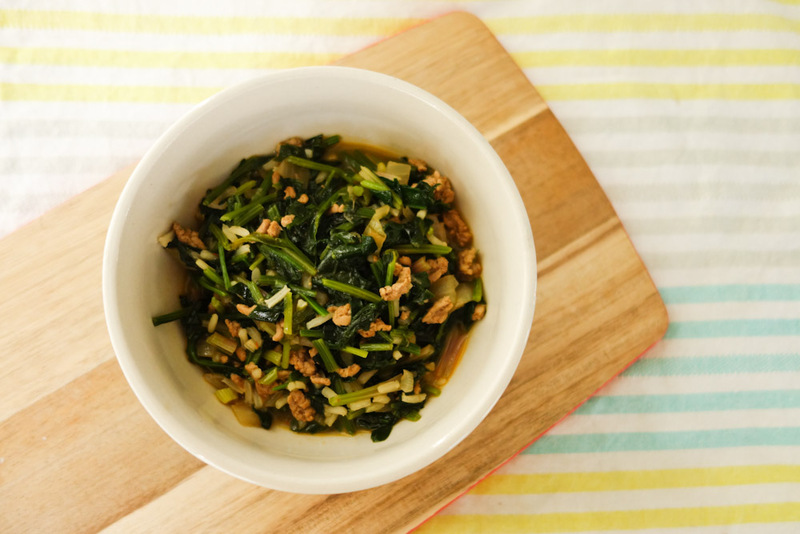 The recipe from the cookbook serves 4 to 6, and calls for a whopping 1 kilogram of spinach. I scaled it down to make just enough for a single meal. For some reason, the authors appear to have forgotten to include the addition of salt to this dish, but fortunately this was easily remedied, and trust me, a bit of salt makes a huge difference! The use of salt instantly turned this dish from bland to scrumptious, and I was happy with the results. Dotted with lamb, rice, and onions, and seasoned with a touch of tomato paste, paprika, and mint, this shepherd's spinach was rustic, hearty, and satisfying. Shepherd's spinach (kiymali ispanak) - wholesome comfort food. There are other recipes from Turquoise I'd love to try someday. Flipping through the pages, the Fish Doctor's stew with black pepper, lemon peel and mint - the authors' interpretation of a dish they ate at a seafood restaurant in Istanbul - looked right up my alley, as does the Beyran soup - an alluring breakfast soup with slow-cooked lamb, garlic and green chillies. And for dessert? I think it's got to be the sticky apricots stuffed with clotted cream. Yep, I think I've definitely convinced myself that I should come back to this cookbook again - and let's face it, when it's one as gorgeous as Turquoise, that's not a bad idea at all. That's *ex* husband and wife team. They seem to have a remarkably amicable divorce! I loved the food in Istanbul so I'm keen to check out this book - that Fish Doctor's stew you mentioned sounds good!